With this device you can make any speaker including your car home or even your computer speakers wireless. 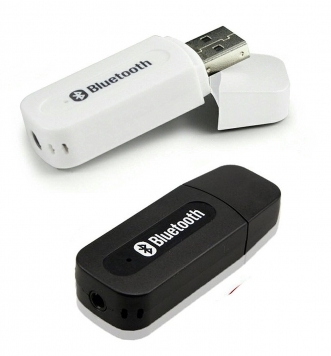 It will enable you to play Music directly from your phone to your speakers with high quality sound through your phone’s Bluetooth. You do not have to throw away your old speakers just invest in this adapter and your old speakers will be bluetooth compatible. NOTE: That this device is powered by usb. You can put this device directly into a usb wall socket for it to work or any other USB port. Features: Lets ordinary speakers instantly become wireless Bluetooth stereo audio music speakers Can be paired to any bluetooth enabled devices, such as mobile phone, laptops, speaker and Bluetooth audio transmitter.